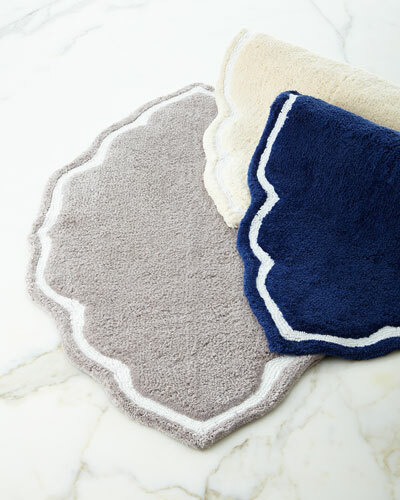 Looking to accessorize your bathroom? 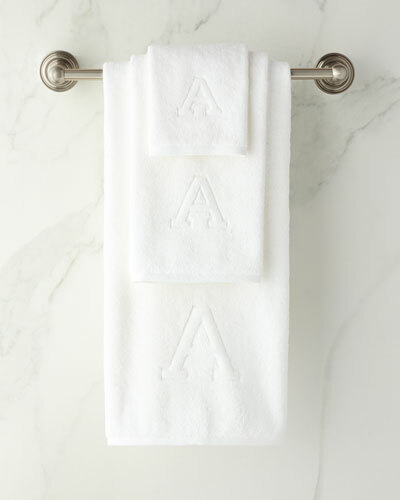 Neiman Marcus’ fine selection of luxury bathroom accessories will transform the ambience. 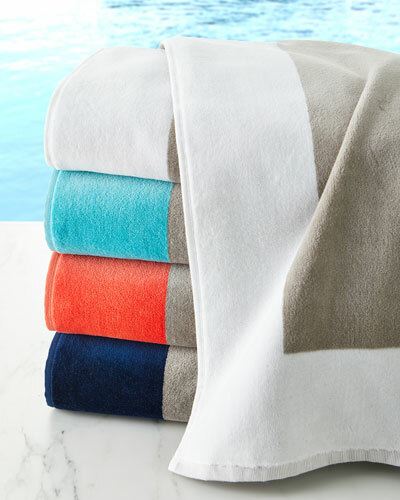 Our designer bath accessories include a variety of luxury beach towels, bathroom towels, wastebaskets, dispensers, and more by the best brands. To lend charm to your bathroom interior, pick our elegant vanity trays and pump dispensers. The alluring soap dishes and tissue box covers can add the right amount of detail to your bathroom. 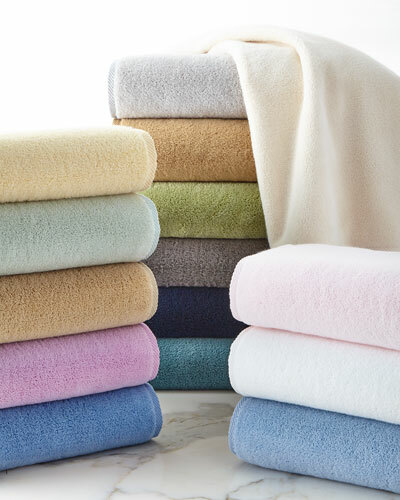 Our designer hand and face towels, made from fine-quality fabrics, offer great absorbency. 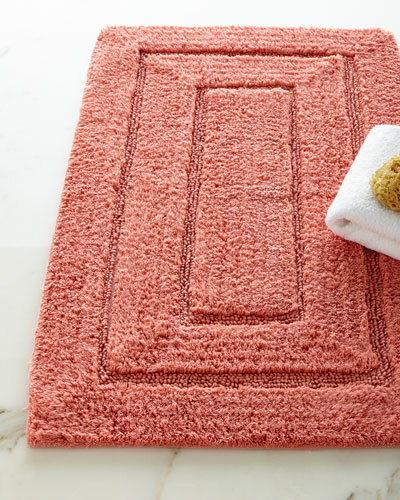 Complement the overall color scheme of your bathroom with our designer bath rugs. 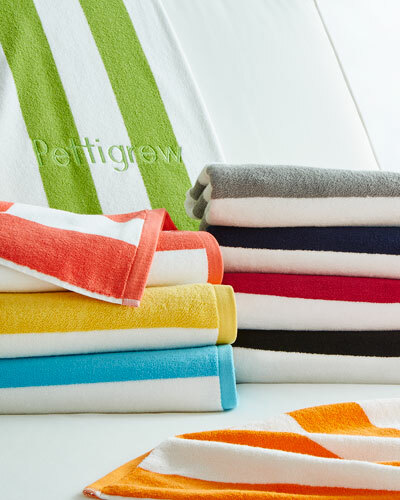 Bright and colorful, our collection of bath accessories is suitable for a variety of tastes. 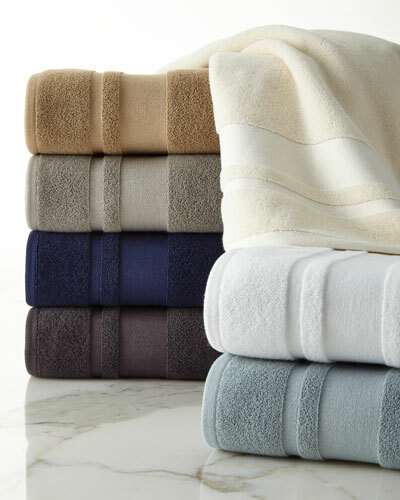 Shop Neiman Marcus for designer bathroom accessories. 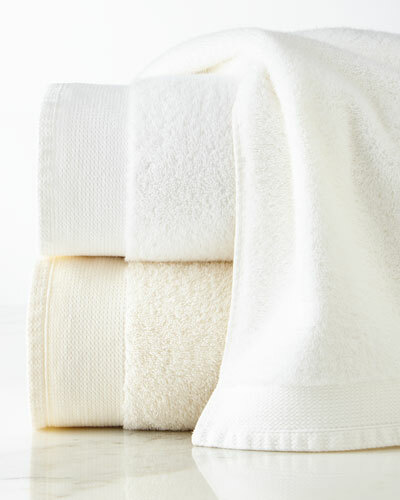 Stella face cloths feature weighty terry cloth on one side and silky velour on the other. Made of Egyptian cotton with sleek band trim on all sides. 480 GSM weight. 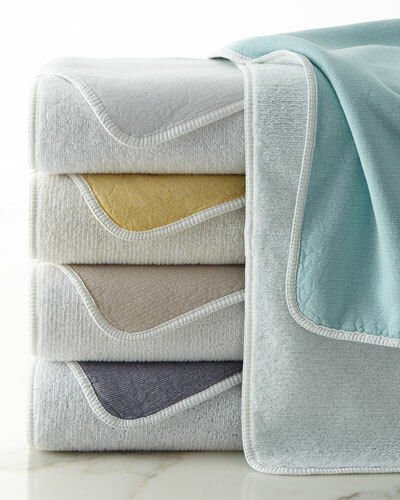 Set of four, each 14"Sq. Machine wash. Made in Italy. 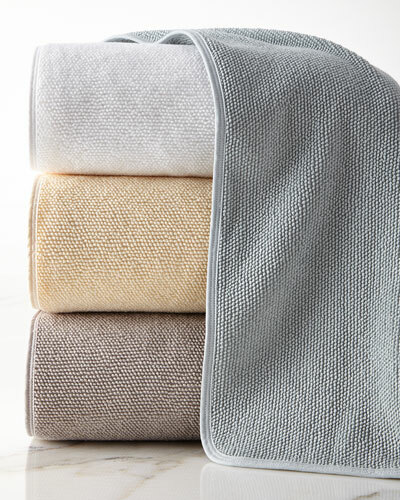 Cotton bath towel in basket weave pattern. 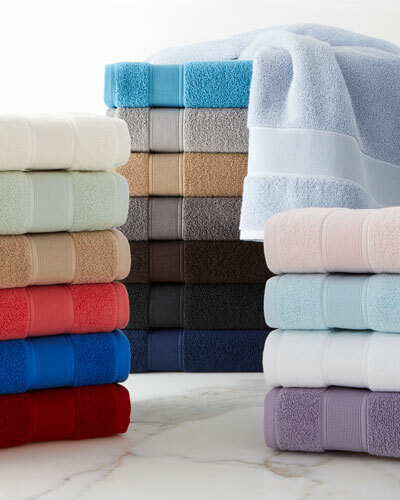 Antimicrobial properties to help maintain a clean, inviting bath. 0.5" turned hem at the top and the bottom. 0.25" turned hem along both sides. Classic ribbed dobby. Mold and mildew resistant. Machine wash. 30" x 56". Imported.